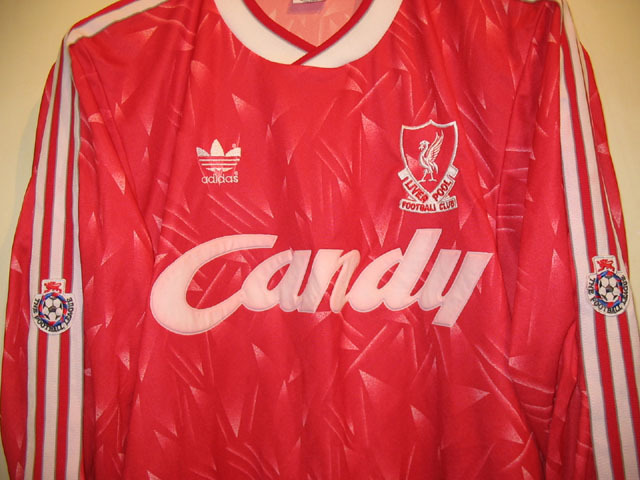 Candy continued to sponsor Liverpool in the 1989-1991 seasons. 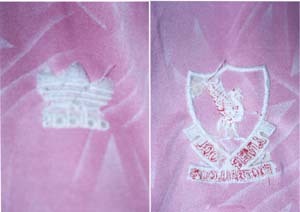 The red home shirt for this era has significant changes - instead of adopting plain red colour like the ones from 1985-1989, this piece shows a specky-red pattern colour. For the shirts from season 1989-1990, there are no patches on the sleeves and sewn on numbers are stitched on the backside. For the season 1990-1991, Division One Football League patches are stitched on the sleeves and velveteen numbers are ironed on the backside. 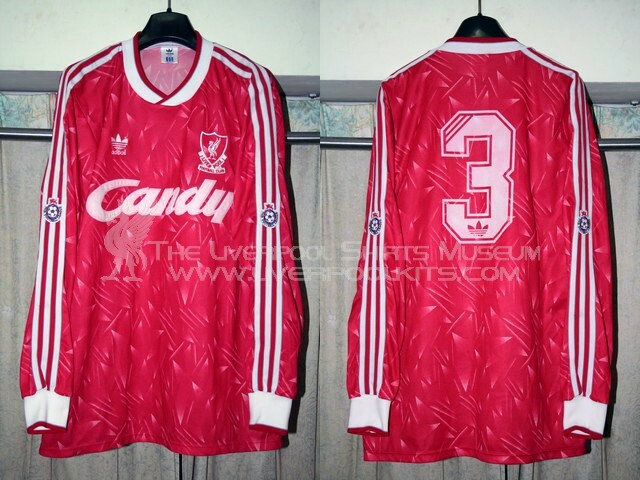 Liverpool 1989-1991 Home Player Shirt - Number 3 belongs to Stephen Staunton. 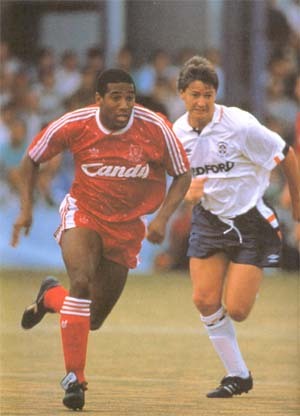 Featured John Barnes wearing the 1989-1991 red home shirt. 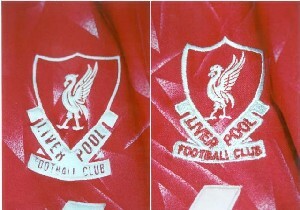 Right: Liverpool club crest is embroidered on the players shirt. 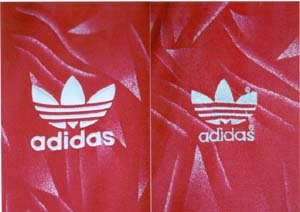 In the 1980s, Adidas did not produce any long sleeved replicas. 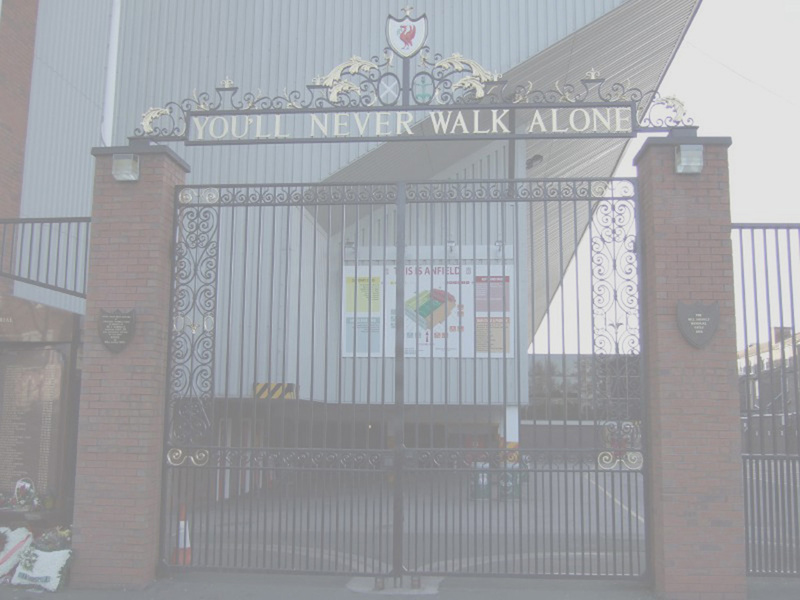 So a genuine long sleeved Liverpool shirt must be a player shirt.